Cut up the chicken. 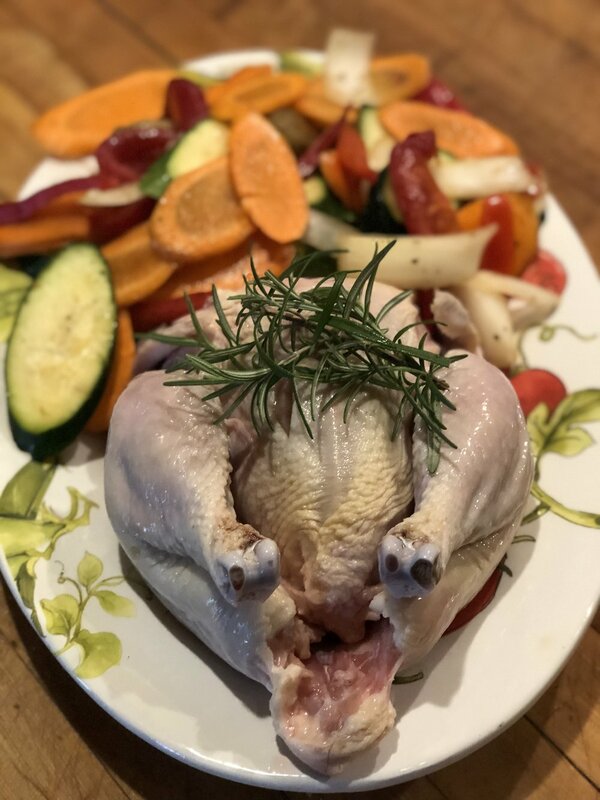 Season the bird with salt, pepper, rosemary and paprika. 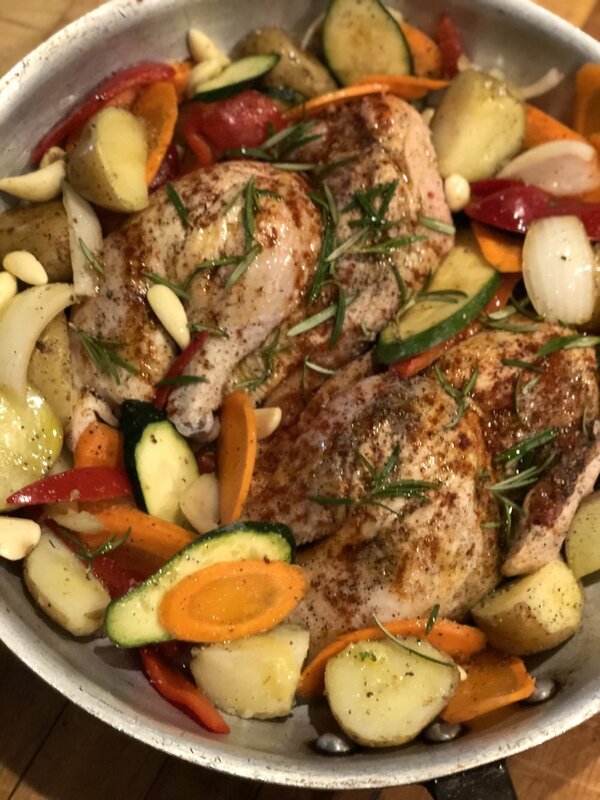 Place the chicken in a large skillet with the vegetables surrounding it, like this photo above. Roast everything at about 350 degrees, uncovered, for 1 hour. The results look like the photo below..